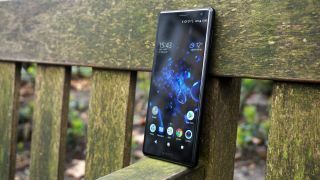 We’re expecting the Sony Xperia XZ3 to land in a matter of days at IFA 2018, but there might not be too many surprises when it does, as the phone has been extensively leaked, with the latest leak revealing the colors it might come in. An image obtained by MySmartPrice seemingly shows the Sony Xperia XZ3 in white, black, burgundy and green shades, and as we haven’t seen any other colors in previous leaks this may well be the full color range. However, it’s worth noting that even if this image is accurate there’s no guarantee that every shade will be available in every region. In particular we wouldn’t be surprised if the more unusual green and burgundy colors had more limited availability. The image doesn’t reveal anything else new, but it’s worth noting that there’s only a single-lens rear camera shown here. Some previous leaks also only show one lens, but others show a dual-lens camera. It’s not clear which is accurate, but this render looks believable and this close to the likely launch of the phone there’s a good chance it’s correct and the Xperia XZ3 is only set to have one lens on the back. We should know soon as our best guess for an announcement is Sony’s IFA press conference on August 30.